Fiorentina welcomed Roma to the Stadio Artemio Franchi in the quarter-final stage of the Coppa Italia. Having won the competition six times, the Viola looked to put on a good performance against the side from the capital, who arrived on the back of a disappointing 3-3 draw against Atalanta after going ahead 3-0. If the Giallorossi were looking to redeem themselves after their poor defensive showing against a high scoring Atalanta side, they will need to look harder. The 7-1 defeat left their supporters shocked and Eusebio Di Francesco having to deny reports that he would resign. The starting lineup for Fiorentina and Roma in their Coppa Italia match. Former Inter boss Stefano Pioli made four changes from the side that beat bottom club Chievo Verona away 4-3 at the weekend. Giovanni Simeone started the game on the bench and Luis Muriel led the line for the home side. In midfield, Christian Norgaard returned to the bench after his first action in a month to be replaced by Edmilson Fernandes, who signed on-loan from West Ham United in the summer. Roma also made four changes from the weekend, with the biggest move being to start Patrik Schick and leave ex-Manchester City striker Edin Dzeko on the bench. Summer signing Javier Pastore also started his second consecutive Coppa Italia match, replacing Lorenzo Pellegrini and playing behind the striker. 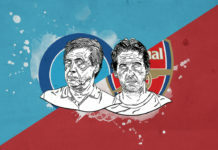 The heavy defeat that Roma suffered in this match was the result of a few trends in the match. 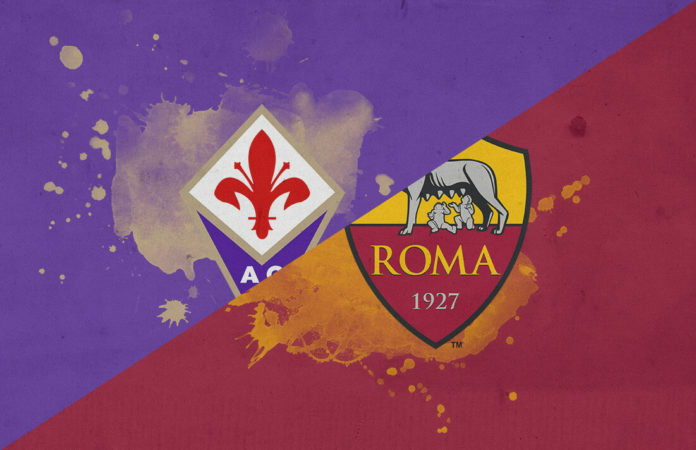 We’ll look at how Roma’s poor defensive and midfield positioning left holes for Fiorentina to exploit. 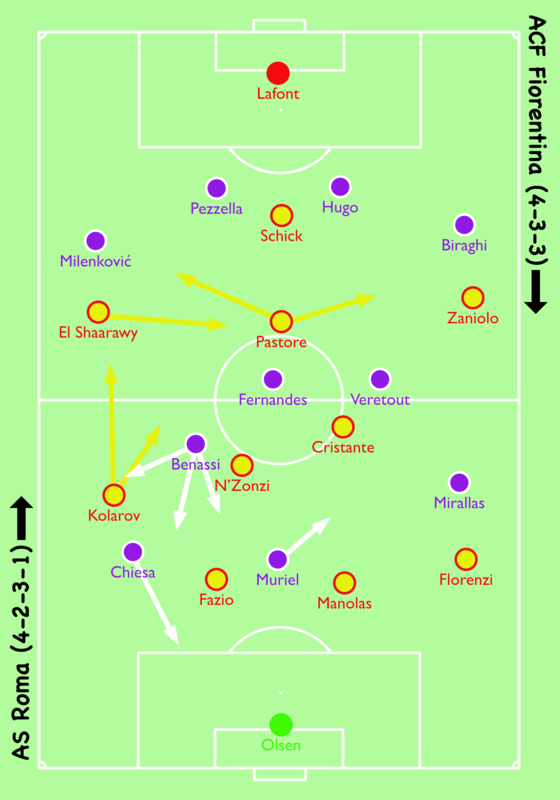 Also, we’ll look at how Fiorentina were able to defend efficiently and set up devastating counter-attacks. Finally, we’ll see how Roma’s second half adjustments made things worse. As this game started, Roma were able to dominate possession, and the trend continued throughout the match. 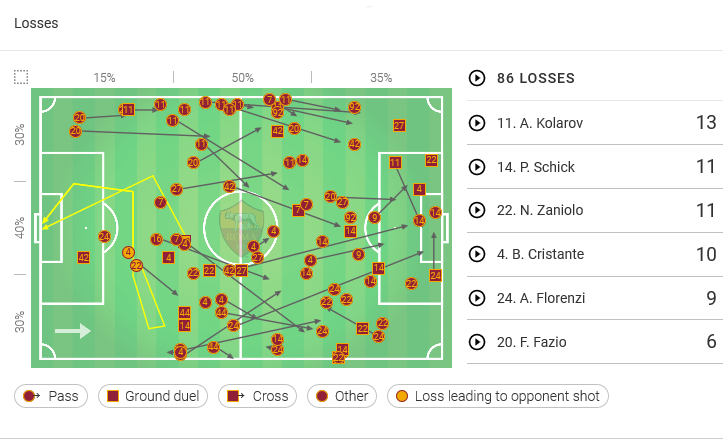 With 64% possession, the Giallorossi had plenty of the ball. Fiorentina’s game plan was to defend deep and hit their opponent on the counter-attack. 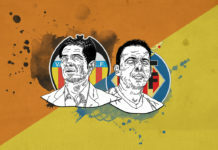 They played a low-middle block, with man-oriented zonal marking. This meant that Roma had easy possession of the ball in their defence, but their passing options in the middle of the pitch were closely marked. As Roma struggled to advance the ball into the final third, the central midfield pairing of Bryan Cristante and Steven N’Zonzi were having to move into wide positions or advance up the pitch to open passing lanes. This left Roma’s back line with very little protection during counter-attacks. Cristante’s positioning was especially poor, as he was often high up the pitch attempting to get into the right half-space, in an area that Nicolo Zaniolo was also trying to operate. This meant that he congested the attacking space, while also leaving the 30-year-old N’Zonzi the task of trying to shield the back four. N’Zonzi is trying to protect Roma’s back four, but he can’t cover all the space. This leaves Muriel alone for the cutback from Chiesa. The Viola were able to take advantage of this poor positioning on the counter-attack. Frequently their first pass after recovering the ball was to Luis Muriel, as he lingered in the unprotected space. 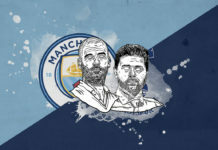 As one of the centre-backs stepped forward to challenge him, he was able to hold the ball up and allow his team to get forward on the counter-attack. In the image below, in the lead-up to the second goal, the ball was recovered by Vitor Hugo and played forward to Muriel. He lays the ball off to Kevin Mirallas, who dribbles 20 yards forward into the gap behind Roma’s midfield. Federico Chiesa runs onto his through-ball in behind the defensive line and scores. Hugo passes the ball to Muriel, who is able to hold off the defender and lay the ball off to an on-rushing Kevin Mirallas. Fiorentina’s second goal owed to Roma’s lack of structure in the midfield, but the first (and fourth) goal could be attributed to Aleksandar Kolarov’s positioning. As Roma controlled more possession, Stephan El Shaarawy drifted centrally to link-up with Schick and Pastore. Kolarov took up more advanced positions to help circulate the ball, but this did little to improve Roma’s attack. He did have some success with underlapping runs, as Chiesa often wouldn’t track them. 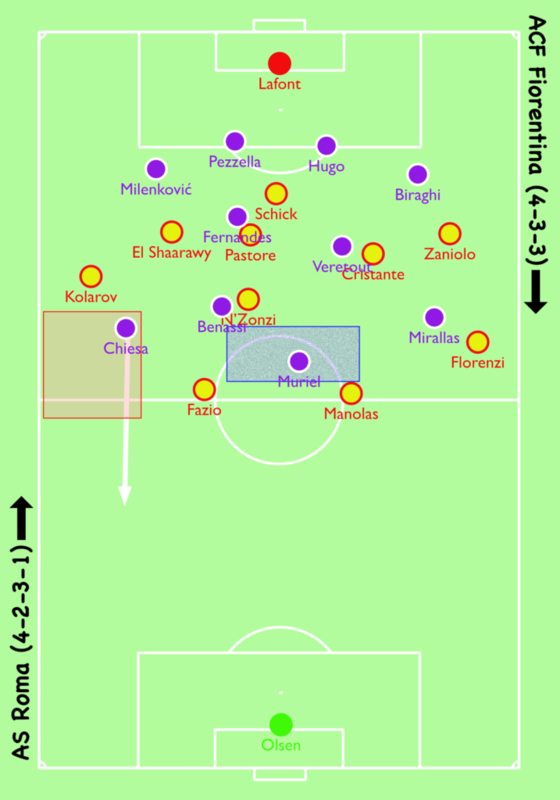 Man-orientation in Fiorentina’s midfield meant that there was no one available to pick him up. This type of run led to Roma’s only goal of the match, but they didn’t use it enough after this to challenge Viola’s midfield. With Kolarov high up the pitch in possession, and a lack of protection in the midfield, this left space for 21-year-old Federico Chiesa to burst into on the counter-attack. Roma never stopped this attack, and the result was a hat-trick for Chiesa. Roma control possession, but there is little cover in the area in front of the defence (blue). This is the area in which Muriel operates to hold the ball up to start counter-attacks. Also, with Kolarov’s high positioning, there is ample space behind him (red) for Chiesa to run into. As the image below shows, Kolarov is high up the pitch when he loses the ball. Vincent Laurini, who came on in the 22nd minute to replace an injured Vitor Hugo, wins the ball back and immediately plays it out to Chiesa who now has clear grass ahead of him. This attack resulted in Fiorentina’s third goal of the match. After Kolarov loses the ball, Vincent Laurini plays a quick ball into the space vacated by Kolarov, allowing Chiesa to run onto it. Roma’s midfield problems made Kolarov’s positioning worse, as there was no cover from the midfield to allow Roma’s centre-backs to move into wide areas to close down Chiesa. As the match progressed, the ball to Chiesa worked consistently, and led to five of Fiorentina’s goals. At halftime, Di Francesco took off Javier Pastore and brought on Dzeko. This meant that the Bosnian played as the striker, and Schick moved to the right wing with Zaniolo replacing Pastore behind the striker. He also did a like-for-like substitution of Lorenzo Pellegrini for Steven N’Zonzi. Replacing Javier Pastore is justified, as Roma continually gave the ball away cheaply in the midfield with Pastore being the worst offender. These turnovers in the middle of the park are what allowed Fiorentina to counter-attack so quickly. As we can see from the graphic below, 42 of Roma’s 90 turnovers occurred in their defence and midfield. Pastore also put in very little defensive work, which allowed Fiorentina’s midfield to overwhelm an already deficient Roma midfield on the attack. Taking out Steven N’Zonzi, on the other hand, is more questionable as he was the only one attempting to provide any defensive cover for the back line. Without him, and with Cristante and Pellegrini, what little cover the defence had disappeared. The men from Florence already had a 4-1 lead by the time Edin Dzeko got a red card for spitting at the referee. This meant that in addition to being three goals behind, they were also playing with just 10 men. Fiorentina would go on to dominate possession for the rest of the match, controlling 61% of the possession in the final 20 minutes while adding another three goals to the score line to complete the humiliation for Roma. This was a result that both teams fully deserved. Roma’s midfield positioning and structure was non-existent, while their passing was also sloppy. This combined to allow Fiorentina to take advantage of the pace of Chiesa to shred an unprotected Roma defence. Fiorentina also defended well, orientating their midfield to shut down the combination play and force Roma into mistakes. A good performance for Fiorentina, but the most opposing teams won’t be as disorganized. Moussa Diaby: PSG’s next big star?